An Opinion On Sports: Georgia: Can They Win The SEC? 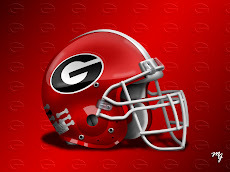 Georgia is somewhere in the neighborhood of a 13 1/2 to 14 1/2 point underdog to LSU in the SEC Championship game Saturday afternoon. This line really doesn't appear to be that far off, after all the Tigers are the undefeated and top-ranked team in the country. But does Georgia have a legitimate shot at knocking off the mighty and powerful team from Baton Rouge? 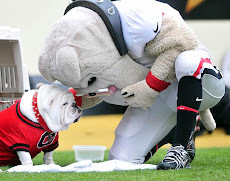 I think they do, but several aspects of the game have to be positive for the Dawgs. As in so many football games, it all starts up front. Georgia's offensive line, led by senior center Ben Jones, must be able to allow their offense to establish some semblance of a running game. They also must give quarterback Aaron Murray time in the pocket to locate and hit open receivers. I realize this seems redundant because it's always true in any football game, but especially so when you're facing the number 2 ranked defense in the nation. It is also crucial because Murray needs to have the game of his life Saturday, as does offensive coordinator Mike Bobo. Defensively, Georgia has a tendency to come out of the gate a little slow in games. If the Dogs can withstand LSU's opening drive, that will be a great sign because Todd Grantham's group usually plays strong after their opponents first possession. From a special teams perspective, Georgia cannot afford to let the Tigers have big returns. That means that it is imperative that the Bulldogs do a great job of covering punts and kickoffs. They have to play with the discipline and intensity they showed against Auburn. I understand LSU is not Auburn, but Georgia must have that same fire as a team, from the opening kickoff through the fourth quarter. I think Georgia has the attention of LSU, and I think this game could be just as tough for the Tigers as their earlier encounter with Alabama. Georgia just has to do a lot of things right for that to happen. 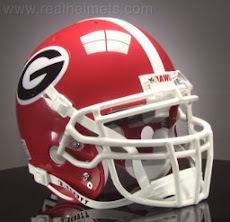 Win or lose, we will probably know all we need to know about this 2011 edition of Mark Richt's Bulldogs after Saturday night. I personally like this team, and I think they have much more than a fighting chance against LSU. After all, that's why they play the game.